Our values are demonstrated through our behaviours with Clients and employees, allowing relationships to blossom and feeding the brands growth. We employ and invest in people with a proven understanding and appreciation of how shoppers think, act and feel. As a result, we’re able to create rich experiences and deep, meaningful connections between brands and shoppers that affect positive, long-term changes in purchase behaviour. We believe in a can-do spirit. We chose the right people for the right brands, all of whom are able to adapt and respond to Client needs and commercial situations with speed, relevance and ease. But, as well as our agility and responsiveness, the creation of smart solutions managed by smart people means that we’re able to anticipate Client needs with a proactivity that’s so often lacking in the industry we exist within. We never lose sight of the fact that our success is dependent on the commercial success of the Clients we work with and the brands we represent. We blend smart creativity with commercial understanding and awareness so that, all along the path to purchase, we’re able to add value in the most influential and effective ways possible. They say you only live once. And until anyone proves otherwise, we believe them. So, with that in mind, we’re determined to make and get the very most out of what we do. We’re passionate about what we do because, in our minds, it’s only when what we do is underpinned by enthusiasm, ability and desire that we’re able to deliver a real, tangible and positive difference to those brands we represent, and to each other. We believe in what we do, why and how we do it. Totally. But to have such belief and confidence in our abilities and capabilities demands that we’re also very clear about what we don’t do. Whilst we embrace a collaborative, can-do spirit and will do whatever we can to make what we commit to happen, we never promise what we cannot achieve. And that’s a promise. At Orchid we care about giving back to our community. We have been supporting both local and national charities since our launch in 2008. 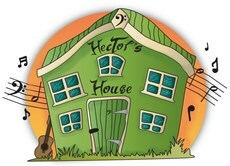 The All Night Café and Hector’s House are the two charities we are currently donating to and supporting in every way we can. We welcome you to join us in supporting these excellent causes.